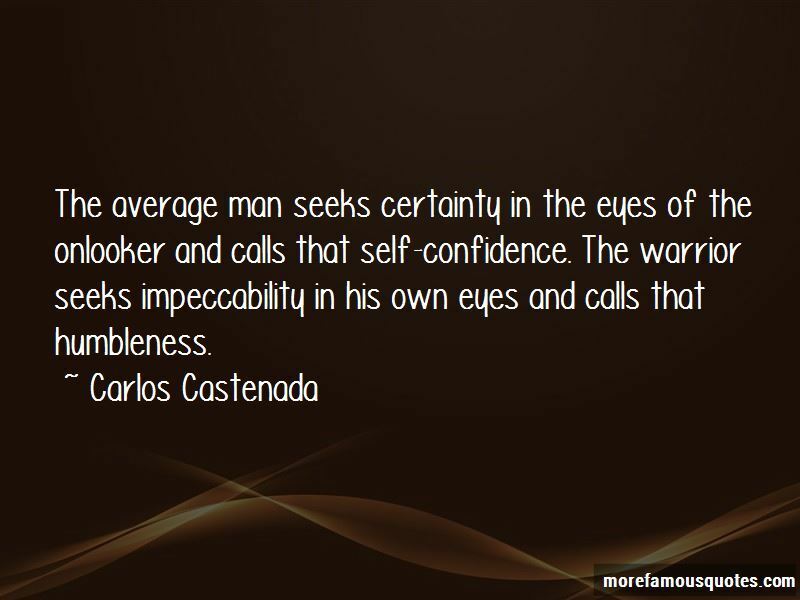 Enjoy the top 3 famous quotes, sayings and quotations by Carlos Castenada. 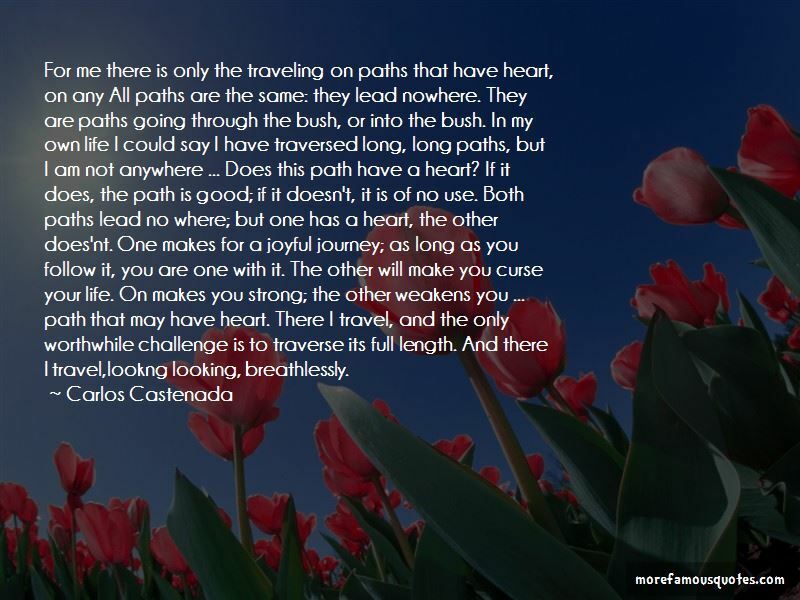 For me there is only the traveling on paths that have heart, on any All paths are the same: they lead nowhere. They are paths going through the bush, or into the bush. In my own life I could say I have traversed long, long paths, but I am not anywhere ... Does this path have a heart? If it does, the path is good; if it doesn't, it is of no use. Both paths lead no where; but one has a heart, the other does'nt. One makes for a joyful journey; as long as you follow it, you are one with it. The other will make you curse your life. On makes you strong; the other weakens you ... path that may have heart. There I travel, and the only worthwhile challenge is to traverse its full length. And there I travel,lookng looking, breathlessly. deviate from the path that your fellow men have lined up for you? Want to see more pictures of Carlos Castenada quotes? 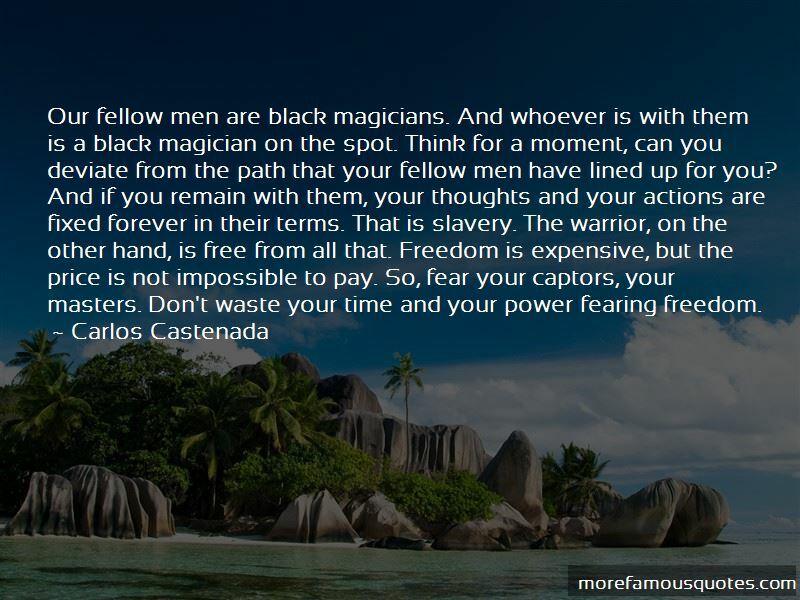 Click on image of Carlos Castenada quotes to view full size.